Although I haven’t told you lately, I have been thinking about you; all of my new followers and those who have been with me from the start along this difficult journey. We are all here for a reason, whether it is to connect, share, or find that little piece of hope that you have been longing for. I’m grateful for you all. With the end of a year coming and a new one beginning, it can be a difficult time for many. 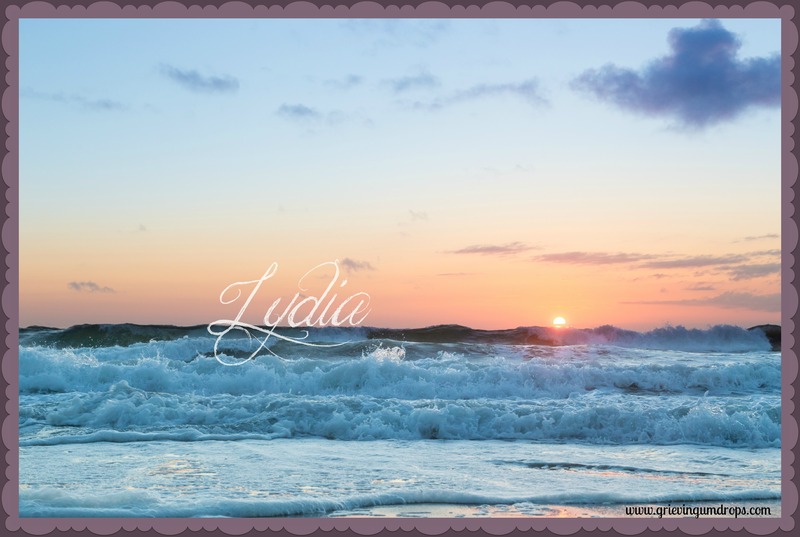 Six years ago, I felt the despair and hopelessness as the first New Year came around after Lydia died. Seeing the New Year terrified me, not wanting time to move on as for me, my life had stopped five months earlier. It’s so very painful. So those new in your grief and those who have been here for a while, stuck or moving forward, we are in this together. I feel so blessed to be on this journey with you. God never said we would not hurt and feel loss and sorrow. He just said that He would surround us with angels and His powerful presence and never let us go. Praying for a happy new year and look forward to continuing our journey together. Oh thank you dear! Your words are very true. Through our loss and sorrows, God is with us along whatever struggles life brings our way. I am thankful for such inspirational people like you to share this journey! Happy New Year. Much love and blessings to you this year! I am so glad I found you through another angel Mom on fb. Hi Sherri! I’m so glad you found me too. I’m so very sorry for the loss of your son, father and mother and brother. You are so right..You never know how strong you are until it is the only choice you have. And you my dear are an inspiration for having endured so much and still able to share your story. It is an honor to meet you and you are right, it is absolutely a blessing when we can connect with others who really understand. Many blessings to you this year. Thanks Gale! Happy New Year to you too! Prayers for abundant blessings for you this year and may your words continue to bless so many others as well.